Minimal Wave present a remastered reissue of Blancmange's seminal '79 debut. Hailed by Mute's Daniel Miller as "the maiden aunts of electronic music", Blancmange were in fact two art school graduates, Neil Arthur from Lancashire, and Londoner Stephen Luscombe, who combined a provincial sense of humour with the unsheathed experimental spirit rife at the time. 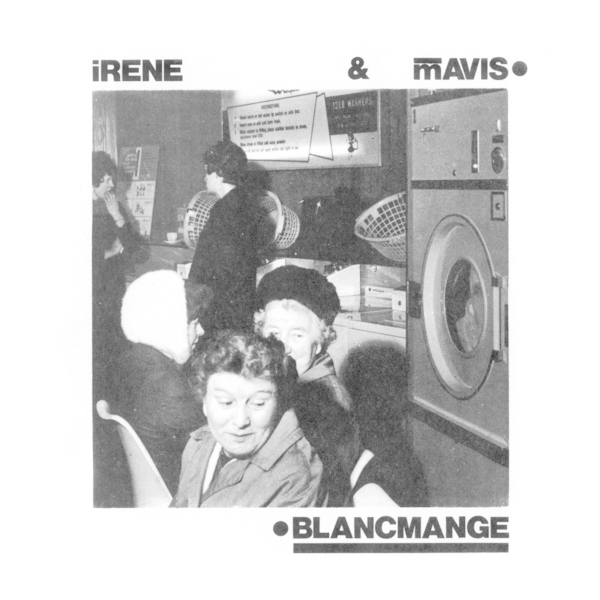 Their music clearly resonates with the early styles of Soft Cell, The Human League and Cabaret Voltaire, yet there's something more elusive, eccentric and surreal at play which defies description on the 'Irene & Mavis EP'. Its six tracks - each of varying fidelity and all brimming with playful ideas with few precedents - feel out space between daft disco-not-disco with Arthur's undiluted woolpack accent on 'Disco-A-Bomb-Bomb' to the bedroom synth flight of 'Holiday Camp', thru Suicide-esque rock-a-roll on 'Overspreading Art Genius' and their cover of Dave Clark Five's 'Concentration Baby', to the skittish, Cabs' like 'Modichy In Aneration' or pastoral krautrock on 'Just Another Spectre'. 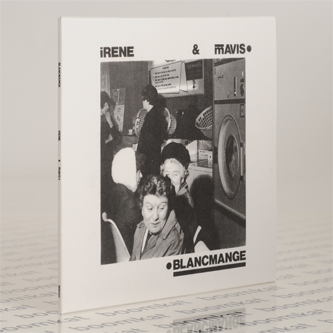 The duo later went on to star on the hugely influential 'Some Bizarre Album', and hit the charts in later years, so 'Irene & Mavis' is a much cherished document of this pivotal group at the earliest stage of development. Massive recommendation.